Welcome to the Mathematics Department! The Mathematics department has very high expectations for all of our pupils and always aims to create an environment where pupils can develop their true potential. 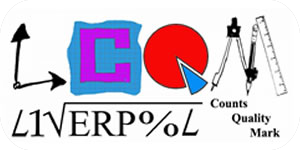 We work to inspire pupils to develop a passion for mathematics and an understanding of its importance in everyday life. Have a positive experience of learning Mathematics. Teaching Mathematics as laid down by the Government framework, using a variety of methods and stimuli. Creating a supportive and caring learning environment. A genuine feeling of how numbers fit together; the ability to carry out calculations, understand the significance of results and estimate whether or not an answer is reasonable. The ability to apply Mathematics in everyday situations and develop an understanding of the part which Maths plays in the world. The ability to apply Maths to other subjects. The ability to solve problems, present solutions clearly, check and interpret results. Our commitment to these aims and objectives will ensure that we continue to build success on success. ‘Helping your child to revise’. Your son/daughter has their own individual log-in details for these websites. Below are a set of revision guides as an example of the type of questions pupils will meet at each grade. ‘Key Stage 3 Summer Examination Revision’. 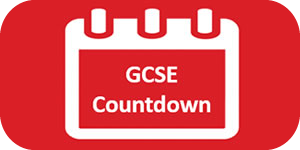 Your child will sit their Mathematics examinations on Monday 19th June and Wednesday 21st June. They will complete a 1 hour Non-Calculator paper and a 1 hour Calculator paper. Below are the revision lists that your child has been issued with. 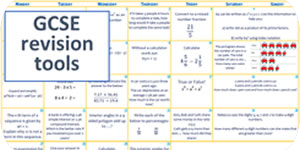 The revision list contains codes that can be used within Mathswatch or MyMaths to direct your son/daughter directly to appropriate revision resources. Pupils in sets 1 and 2 will sit the higher level examination. 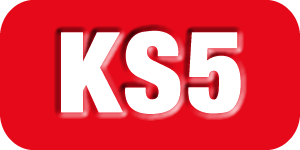 Pupils in sets 3 to 6 will sit the foundation level examination. The PEARSON Edexcel Textbook is used as support. GCSE Mathematics is divided into six main domains: Number; Algebra; Ratio, Proportion and rates of change; Geometry and measures; Probability and Statistics. Alongside developing their knowledge of the curriculum content pupils also continue to develop their confidence, understanding and a broad range of mathematical skills. Pupils are encouraged to think and communicate mathematically, in clearly written, spoken and graphical forms. Problem solving skills are developed to enable pupils to apply their mathematical knowledge and ability in a wide variety of situations across all subjects. Pupils will develop an appreciation of the interdependence of the different branches of mathematics, and of its place and use in society. At GCSE we aim to build a firm foundation from which to study mathematics further. How can my child progress ? Be fully prepared for each lesson with all the necessary equipment, including a scientific calculator and geometry set. Ensure your approach to work is always conscientious. Complete you homework to the highest standard. Do not miss any questions out, show all working and get any necessary help before the deadline. Regularly re-visit your learning and revise topics using recommended resources. Prepare fully for all assessments. Attend booster sessions, revision lessons and maths clinic. The COLLINS Edexcel Textbook is used as support. In Year 12 and 13 pupils have the option to study Mathematics and Further Mathematics at A-Level. Who can study A-Level maths? How do I prepare for the A-Level entrance examination? The mathematics entrance examination test is designed to help you find out how suitable you will be to study A level mathematics. It uses algebra-based questions which are of a GCSE standard as it will be taken for granted that you are able to use skills at A level. What topics does the entrance examination test? All questions contained in the entrance exam are based on material in the algebra section of the GCSE syllabus. You can use your revision guides and the appropriate lessons and questions of mathswatch and mymaths to supplement your preparations. If you have any concerns remember you can see your teacher or attend maths clinic which runs on Tuesday and Wednesday lunchtimes.